Stitch New York will take you by the handmade and lead you on a wool-flavoured tour of the city, from money-munching Manhattan to the bohemian beat of the Bronx, in stitched style. You’ll be starstruck meeting Knit New Yorkers, relax with your skinny decaff latte on some HUGE New York eats, and feel all-American gazing at a stitched statue of Little Lady Liberty. Includes two free online patterns to be released very soon. Yay! 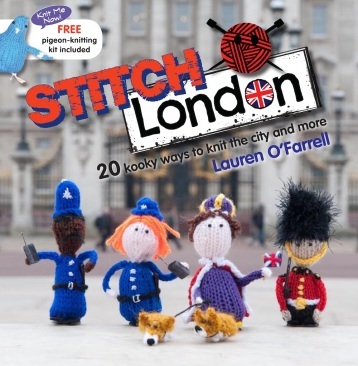 Stitch London: a city of people, pigeons, puddles and purly queens and kings.More than 20 kooky London-flavoured patterns for city knitters and those who are just visiting. Includes a Knit the Pigeon pack with everything you need to stitch Cooey the Pigeon. Cool, no? 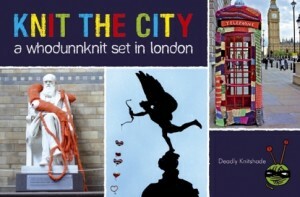 The sneaky stitching story of Whodunnknit and Knit the City and the graffiti knitting chaos they cause, lovingly poured onto 128 pages. Includes two graffiti knitting pattern to start you yarnstorming. 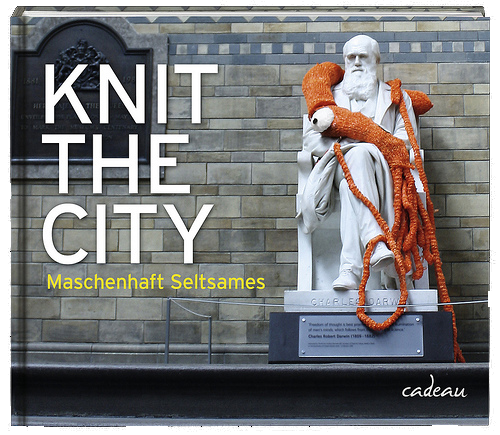 Solo Whodunnknits and the sneaky stitching of the Knit the City team have been squashed into a handy thing they call a book just for you. In German! Includes two projects and many images not in UK edition. Lucky German speakers.